The Directors of Fairground Gaming (“Directors”) are pleased to announce the posting to shareholders of an admission document in connection with the conditional acquisition of all of the online gaming businesses and subsidiaries, which collectively form The Spin Palace Group (“the Acquisition”), from Roundit Limited (“the Vendor”) as well as the proposed placing of 7,058,824 ordinary shares in Fairground Gaming (“Ordinary Shares”) at 85 pence per share (the “Placing”). Fairground Gaming was admitted to AIM on 4 October 2005 with the intention of taking advantage of the expected trend for consolidation within the online gaming sector, through the making of targeted acquisitions which have the capacity to add significant shareholder value. Pursuant to this strategy, on 4 May 2006, the Company announced that it had entered into a conditional agreement to acquire The Spin Palace Group from the Vendor for a maximum consideration of $65.3 million. The initial consideration payable will be $45.3 million to be satisfied by $10 million in cash, 9,100,100 Ordinary Shares and 17,294,707 warrants over Ordinary Shares (“Warrants”). Up to a further $20 million shall be payable depending on the earnings before interest, tax, depreciation and amortisation (“EBITDA”) of the The Spin Palace Group in the year to 31 December 2006, to be satisfied by up to $10 million in cash with the remainder paid by the issue of Ordinary Shares and Warrants. The Acquisition constitutes a reverse takeover of Fairground Gaming under the AIM Rules and is therefore conditional upon shareholder approval, which is being sought at an extraordinary general meeting (“EGM”) to be held on 12th June 2006. Trading in the existing Ordinary Shares resumed today, having been suspended in accordance with the AIM Rules following the announcement of the proposed Acquisition on 4 May 2006. The Spin Palace Group is a licensed online casino and poker group, which possesses a global and diversified customer base. The Spin Palace Group offers its customers (who may use either a download or a flash version of the software) over 200 different online casino and poker games. The number of games offered by The Spin Palace Group is a key strength, helping to maintain the number of active players using the websites. The Spin Palace Group recorded a Net Win (the difference between amounts wagered by active players and the amounts paid out to active players minus bonuses paid to active players) of $19.2 million in 2004 rising to $29.9 million in 2005. In 2005, approximately 97 per cent. of the Net Win revenue was generated through online casino activities, which includes slots, roulette, baccarat and blackjack. Poker Net Rake accounted for 3 per cent. in that same year. The language of The Spin Palace Group’s online casinos are displayed in English, Japanese, Turkish and Italian and currently offers customers the option of making payment in US Dollars, Canadian Dollars, Pounds Sterling, or Euros. Approximately 75 per cent. of The Spin Palace Group’s Net Win was generated from the United States in 2005, compared to 71 per cent. of the Net Win in 2004. It is the intention of the Directors to diversify to other geographic markets through extensive use of online marketing and the launch of websites in other languages. The number of games and the variations on those games offered by The Spin Palace Group is considerable. The Spin Palace Group possesses several key brands through its online domains including www.spinpalace.com, www.rubyfortune.com and www.piggscasino.com, highlighting the attractiveness of the Acquisition to the Company. Together, www.spinpalace.com and www.rubyfortune.com accounted for 76 per cent. and 78 per cent. of The Spin Palace Group’s Net Win in 2004 and 2005 respectively. 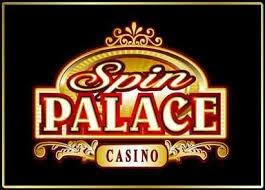 The Spin Palace Group collectively comprises two separate businesses, Spin Palace and Piggs Casino. Spin Palace and Piggs Casino were recently combined and the Directors believe that the benefits from the consolidation, including cross marketing and economies of scale, are yet to be fully realised. The Spin Palace Group has achieved levels of organic revenue growth comparable to other online gaming competitors and has implemented high quality operating and management information systems. The Spin Palace Group had approximately 9,300 active casino players in March 2006 compared to 3,380 active players in March 2004 representing an annual compound growth rate of approximately 65 per cent. Monthly Net Win, which is closely correlated to the number of active players, has also increased from $188,000 in February 2002 to approximately $3,671,111 in March 2006 representing an annual compound growth rate of approximately 95 per cent. The Spin Palace Group had approximately 2,100 active poker players in March 2006 compared to less than 500 in March 2004 representing an annual compound growth rate of approximately 104 per cent. per annum. Monthly Net Rake , which is closely correlated to the number of active players, has increased from approximately $7,000 in October 2003 to approximately $150,000 in March 2006. The average yield per casino player was $395 in March 2006 compared to $300 in March 2005. The estimated lifetime value per active casino player is $1,400. The increasing numbers of new players have resulted in the average yield per player fluctuating, which is in line with other online gaming operators within the sector. This yield is skewed by new players that have a high attrition rate and tend to spend less in their first month. Furthermore, The Spin Palace Group’s number of recreational gamblers has increased, which impacts upon the greater yields provided by “high rollers”. The Spin Palace Group has implemented online and offline marketing strategies in order to generate activity through its gaming websites. There is a correlation between the level of marketing costs incurred and the number of new players who actively deposit money. The effectiveness of The Spin Palace Group’s marketing program has played a significant role in generating the current level of player activity. Online marketing accounts for approximately 90 per cent. of the overall marketing spend as it is considered to be the most effective method in attracting active players. The Spin Palace Group has developed a direct response marketing strategy which enables the results of each campaign to be monitored and tracked. Search engine optimisation is a key method of maximising exposure of the online gaming websites to potential customers by raising the ranking of the website on search engines. A core component of the marketing plan is the affiliate program known as Wagershare. This award winning affiliate program allows other entities to advertise The Spin Palace Group’s casino and poker sites on their own websites, either by placing links to The Spin Palace Group’s site or by promoting The Spin Palace Group through CDs and flyers. The affiliate is paid a commission based on the Net Win generated by each new active player referred. The standard rate is 25 per cent. although this can vary depending on the levels of traffic generated. Traffic from the top 25 affiliates accounted for a consistent and significant share of the Net Win in 2004 and 2005, illustrating the importance of this program to The Spin Palace Group. Offline marketing includes the promotion of The Spin Palace Group through flyers, posters and leaflets in CD’s. Historically, approximately 5 per cent. of active players are retained by Spin Palace for a period of 15 months compared to approximately 3 per cent. for Piggs Casino. The percentage of players retained by both Spin Palace and Piggs Casino declines rapidly after one month, however these statistics are not uncommon within the online gaming sector. More importantly perhaps, an analysis of retention rates indicates that the business enjoys a core group of customers who remain active almost five years after they originally registered. Cost per acquisition (“CPA”) represents the cost incurred by The Spin Palace Group in acquiring a new active player. CPA has increased from approximately $123 in 2004 to approximately $136 in 2005. As the industry moves toward consolidation, the ability of online gaming companies to convert players from those simply browsing sites to those actively depositing money will become increasingly important. The gaming software used to operate both the online casino and poker games of The Spin Palace Group is supplied by Microgaming. The Spin Palace Group is also a member of the Microgaming Prima Poker network, which provides players with the ability to play poker online against fellow players (www.primapoker.com). The banking and administrative functions of The Spin Palace Group are conducted in Guernsey. Gaming servers are located in the independent Mohawk Indian Territory of Kahnawake and the websites are hosted at outsourced data centres in Canada. The Spin Palace Group sub-contracts its call centre and certain customer support requirements to a wholly-owned subsidiary based in South Africa and sub-contracts certain marketing, IT and administrative services to a wholly-owned subsidiary based in the UK. The flagship brand of Spin Palace is www.spinpalace.com, which offers both online casino and poker gaming comprising of over 173 games, including 19 progressive jackpots. The secondary brand of Spin Palace is the Ruby Fairground Gaming casino, which amongst other objectives, is designed to appeal to the female customer segment of the online gaming sector. There are several entities, including www.casinocity.com, which rank online gaming sites based upon monitoring and measuring the actual site usage of millions of online users. On 10 May 2006, Spin Palace Casino and Ruby Fortune Casino were ranked 24 and 108 respectively out of 1,099 online casino gaming websites by www.casinocity.com. Spin Palace offers progressive jackpots through the Microgaming Jackpot Madness Network where it combines with other operators to provide much larger jackpots than each could provide separately. The largest progressive jackpot payout from the Microgaming Jackpot Madness Network to date was just over $1.6 million. Progressive jackpots of this size offer excellent publicity for The Spin Palace Group helping to differentiate the brand from other operators outside of the Microgaming Jackpot Madness Network. Since formation, Spin Palace has been recognised for its high quality customer service, which helps to contribute to higher levels of customer satisfaction and is important for improving retention levels. The Spin Palace casino was awarded ‘Best New Casino’ in 2002 from Casinomeister, an independent body recognised in the online gaming industry as an advocate for players. In 2002, it also won several awards from ‘Gambling Online Magazine’ based on readers’ polls. Ruby Fortune casino was also given an honourable mention by the “Gambling Online Magazine” in the 2005 award for top new online casino. In addition, Spin Palace utilises Wagershare (www.wagershare.com), its own common affiliate program, which has received several awards including the ‘Casino Affiliate Program of the Year’ from Casinomeister in 2003 and 2004. Wagershare provides sophisticated information, which enables the Affiliates to closely monitor their commission. The flagship brand of Piggs Casino is www.piggscasino.com, which offers both online casino and poker gaming currently comprising 179 games, including 11 progressive jackpots. The secondary brands of Piggs Casino, being Jackpots In A Flash, Mummysgold Casino and Poker333, were launched in order to promote cross-marketing between online gaming websites, a direct response to the tendency for players to switch between websites. This has the benefit of improving overall player retention for Piggs Casino. On 10 May 2006, Mummys Gold Casino and Piggs Online Casino were ranked 100 and 157 respectively out of 1,099 online casino gaming websites by www.casinocity.com. Piggs Casino is also accredited by eCogra and has been awarded eCogra’s players seal of approval. • forms a strong platform for pursuing further acquisitions. Fairground Gaming has recently established a wholly owned subsidiary, FGH Acquisitions (Spin) Limited (“FGHA”), which has conditionally agreed to acquire The Spin Palace Group from the Vendor. The Acquisition has an effective date of 1 January 2006, which is the date from which all revenues and costs, assets and liabilities will accrue to FGHA. In accordance with normal accounting practice however, the profit and loss accounts of the Group will only recognise income and expenditure of The Spin Palace Group from the date of completion of the Acquisition. The maximum consideration payable to the Vendor under the terms of the agreement is $65.3 million. If the earnout target of $9.4 million of EBITDA of The Spin Palace Group for the year ending 31 December 2006 is achieved, the consideration paid would represent an overall multiple of 6.96 times EBITDA. • a deferred consideration of up to $20 million calculated on a sliding multiple applied to The Spin Palace Group’s audited EBITDA for the year ending 31 December 2006 to be satisfied as to not less than 25 per cent. but not more than 50 per cent. in cash with the remainder to be satisfied by either Ordinary Shares, Warrants or debt (or a combination thereof). Ordinary Shares to be issued to the Vendor as part of the initial consideration will be issued at 75 pence per share and will be subject to lock-up and orderly market arrangements. The Ordinary Shares to be issued to the Vendor as part of the deferred consideration will be issued at a price per share equivalent to the lesser of the average of the daily closing mid-market price of Ordinary Shares from October to December 2006 and the average of the daily closing mid-market price of Ordinary Shares in the 7 trading days prior to 31 December 2006 and will also be subject to lock-up and orderly market arrangements. The terms of the Acquisition require that the issue of Ordinary Shares to the Vendor shall not result in the Vendor’s aggregate shareholding in Fairground Gaming exceeding 29.9 per cent. of Fairground Gaming’s issued share capital from time to time (the “Cap”). If the issue of Ordinary Shares pursuant to the initial consideration or the deferred consideration would result in the Vendor’s shareholding exceeding the Cap, then the Vendor shall receive in lieu thereof such number of Warrants as would equal the number of Ordinary Shares that the Vendor is entitled to receive. The exercise price for the Warrants is nil. All Ordinary Shares issued to the Vendor pursuant to the exercise of the Warrants shall be issued fully paid. The Warrants are therefore exercisable by the Vendor as the issued share capital of Fairground Gaming is enlarged following further acquisitions and/or fundraisings. No disposal (save to a limited class of permitted transferees) of the initial Ordinary Shares is permissible for 12 months from the admission of the enlarged issued share capital of the Company to trading on AIM (“Admission”) and only 50 per cent. thereof may be sold thereafter until 1 January 2008. For 12 months from the expiry of each relevant lock-in period, any disposal by the Vendor of Ordinary Shares must be made through Fairground Gaming’s brokers to ensure an orderly market in the Ordinary Shares. The Vendor shall be entitled to appoint, remove or replace one representative to the board of Fairground Gaming at any time during the period that concludes on the date that is 12 months following the issue to the Vendor of the deferred consideration. The business of Microgaming was founded in 1994 and according to reports, developed the world’s first operational online casino system. Microgaming was a founding member of the online gaming industry’s Interactive Gaming Council in 1997 and in 2003 became a founding member of eCOGRA, the industry’s self-regulating body. It is believed to have developed the internet’s first wide-area progressive jackpot. When established high street based brands started investigating online opportunities, it attracted clients such as Ladbrokes and Stan James to its platform. Microgaming’s software principally comprises two independent gaming products, namely its online casino software (with an estimated 120 sites using such software) and its online poker software powered by the Prima Poker Network (with an estimated 36 poker rooms using such software). Microgaming also powers Ladbroke’s Poker. In addition to these online products, Microgaming produces gaming software for other markets, such as fixed odds betting terminals and mobile gaming. Microgaming’s client base includes major online players such as Carmen Media (Gamingclub and Riverbelle), Mr Bookmaker, Stan James, Bet365, Trident Group and Ladbrokes. Notwithstanding these major players, the majority of Microgaming’s client base comprises private, highly entrepreneurial independent operators. The Company will be headquartered in the Isle of Man, where the executive mangement, technical, marketing, disaster recovery, accounting and administrative operations will be controlled and managed. Pursuant to the Online Gambling (Advertising) Regulations 2006, the Online Gambling (Technical Support and Disaster Recovery) Regulations 2006 and the Online Gambling Regulation Act 2001, which came into operation on 20 January 2006, the Group’s current activities in the Isle of Man do not need to be licensed. The Group’s gaming servers will be based in Kahnawake, Canada where it is anticipated that the Group will, on Admission, hold a gaming licence granted by the Kahnawake Gaming Commission. The Placing, which is conditional on Admission, will raise approximately £6 million before expenses. Daniel Stewart has conditionally placed new Ordinary Shares with institutional and other investors, such shares representing approximately 18.83 per cent. of the enlarged issued share capital. The placing shares will rank pari passu in all respects with the Ordinary Shares. The Placing has not been underwritten. The Directors intend to use the proceeds of the Placing to provide additional working capital for the Company. The latest management accounts of The Spin Palace Group indicate an unaudited Net Win of $9.7 million in Q1 2006, against $7.8 million in Q4 2005, representing quarter on quarter growth of 24 per cent. Casino Net Win was $9.4 million ($7.6 million in Q4 2005) and poker Net Win was $0.34 million ($0.28 million in Q4 2005), representing growth of 24 per cent. and 21 per cent. respectively. Overall, Net Win in Q1 2006 was 33 per cent. ahead of Net Win in Q1 2005, comprising growth in casino Net Win of 30 per cent. and poker Net Win of 162 per cent. The Directors of Fairground Gaming believe that The Spin Palace Group is well placed to capitalize upon future growth in the online gaming sector supported by the results recorded in Q1 2006.